Spondylolisthesis spinal instability can compromise the structural integrity of particular sections of the backbone or undermine the overall vertebral column. The ability to incite instability remains one of the major pathological expressions of advanced listhesis. Since stability in the backbone is required for good spinal health, this fact can lead to big problems for patients with symptomatic, unstable versions of vertebral migration. 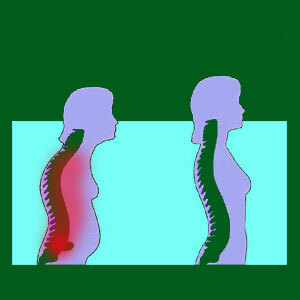 Instability in the spine is one of the major justifications for surgical treatment. The instabilities can be classified as micro or macro, involving some or all of the affected region of the spine. Instability is also the leading reason for the application of various types of listhesis exercises, which may help to provide support for a compromised vertebral column without the need for surgical intervention. This discussion focuses on structural instability in the spine that may be created by vertebral listhesis. We will detail why vertebral migration can cause instability, and well as the effects that might be expressed. Finally, we will examine how instability can influence treatment choices for spondylolisthesis. Instability describes abnormal movement of the spine. The term usually implies that the condition is painful, but there are instabilities that are asymptomatic and fully accommodated by the natural compensatory mechanisms of the anatomy. Microinstability affects the specific vertebral segment that demonstrates spondylolisthesis. Meanwhile macroinstability affects the overall vertebral column, causing widespread dysfunction. Facet joint instability is the most common type of microinstability in listhesis-affected vertebral bones. When a vertebra slips forward or rearward, the facet joints no longer align properly, which can cause rough, restricted or excessive movement within the joint. Intervertebral instability occurs when the spinal spacers become very asymmetrical in relation to the vertebra above and below due to the misalignment of the affected listhesis-affected bones. Macroinstability affects the overall region of the spine or the entire spine. These issues are very case specific, but often involved a series of microinstabilities that accumulate to undermine the functionality of the spine as a whole. Facet joint, intervertebral disc and general instabilities usually all work in unison to create macroinstability wherein normal spinal movement becomes impossible, painful or both. Macroinstability can also directly threaten the central nervous system components, such as the spinal cord and/or spinal nerves. Instabilities are not necessarily painful, despite the common mistaken perception. Instabilities can be painful, but many can be negated by the wonderful compensatory mechanisms of the natural human anatomy. Basically, the body can adjust itself to excessive or restricted ranges of abnormal movement in order to stabilize them functionally, if not structurally. In cases where instability does create symptoms, the exact expressions will vary depending on the mechanism through which pain is generated. Facet joint pain will be localized and linked to direct mobilization of the affected joint. Facet pain should not be wide-ranging or overly severe in most cases. Disc-related pain might occur due to compression of a nerve or encroachment on the spinal cord. Similarly, stenosis formations that result from listhesis can create symptoms through these same mechanisms. Some spondylolisthesis patients will suffer moments of acute nerve or spinal cord compression upon specific or general ranges of movement from macroinstability. These can be serious symptoms, often involving terrible pain, as well as lingering periods of tingling or numbness afterwards. In some cases, focal episodes of incontinence might occur. Generally, in progressively more unstable spinal columns, the muscles must work that much harder to reinforce the backbone and therefore are also prone to suffering pain and imbalances that might become problems unto themselves. All forms of spinal instability can be treated successfully, although not all cases are. Impediments can ruin even the best therapy efforts, especially via the surgical route. However, when all goes as planned, most conditions can be fully resolved, restoring structural stability of form and function to the vertebral column. Spondylolisthesis exercises can treat most minor microinstabilities. Exercise will help support these regions of abnormal spinal movement to minimize pain and reduce progression of the condition. This is why exercises are such popular and commonly used treatments for spondylolisthesis. Surgical intervention is used for severe micro and virtually all macroinstability issues. Typically, a combination of procedures is used, including spinal fusions, laminectomy and discectomy to restore the spine to a stable state. Unfortunately, fusion creates additional risk that might equal or surpass those of most listhesis-related instabilities, except the very worst cases. We detail the reasons why spinal fusion is so detrimental to the health of the spine in our dedicated coverage of spondylodesis.